Oakland Mayor Libby Schaaf won’t stand for President Donald Trump attacking her city, and for good measure, its native son, Oakland Raiders running back Marshawn Lynch. At Sunday’s game in Mexico City, Lynch chose to sit during the National Anthem, but stood during the playing of the Mexican anthem. The display caught the attention of Trump, who for weeks has called out NFL players for sitting during the anthem, while also criticizing owners for not suspending them. Trump tweeted earlier Monday morning that Lynch should be suspended for his actions. https://platform.twitter.com/widgets.jsSchaaf, who like Lynch, was born and raised in Oakland, lashed out at the President, saying he should be suspended, instead. Lynch’s altruistic endeavors in Oakland are well-known to residents in the East Bay. After attending Oakland Tech, Lynch made his name as a star running back at Cal. After winning a Super Bowl with the Seattle Seahawks, he signed with the Raiders following a one-year retirement. Furthermore, Schaaf used specific anti-Trump language last April when announcing her re-election campaign for next year. Schaaf’s chances for another four years is viewed as highly likely. Former Oakland Councilmember Ignacio De La Fuente is currently most known candidate eyeing a challenge next fall. Posted in Libby Schaaf, Marshawn Lynch, Mexico, National Anthem, NFL, Oakland Tech, President Trump, Raiders, suspension, tweet, Twitter. Bookmark the permalink. Marshawn Lynch is a moron. If he thinks Mexico is so much better/equitable for Blacks, let him live there. If he wants to know a thing or two about police corruption, let him live in Mexico. As for Libby Schaaf, her comments are just a distraction from her other failings and a means of pandering to the rest of the virtue signalers in Oakland. 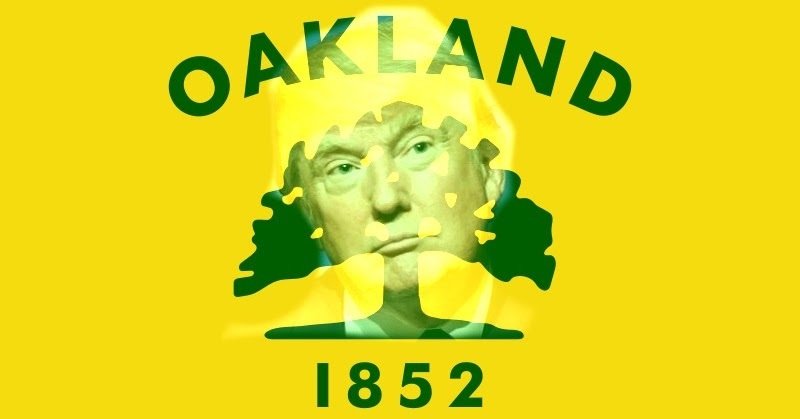 In regard to Schaaf's comment “THE MOST DANGEROUS PLACE IN AMERICA IS DONALD TRUMOP's MOUTH,” and which she said in response to Trump's comment asserting Oakland is one of the most dangerous places in America, it should be illegal for conservatives, and such as for example Trump, to say anything that is politically incorrect and/or which offends the phonies who pretend to be liberals.